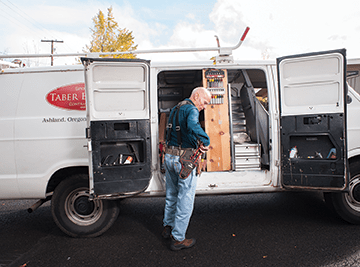 Don Taber has been providing residential and commercial electrical contractor services up and down the West Coast for decades. 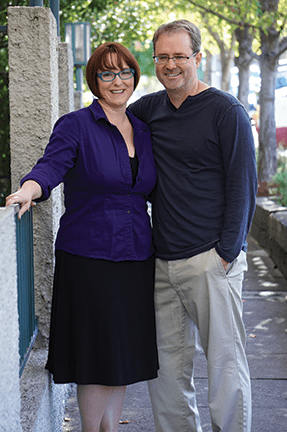 He has been involved in projects big and small from large corporations such as Mattel, Helix Electric, Boise Cascade, to small residential jobs right here in Ashland. 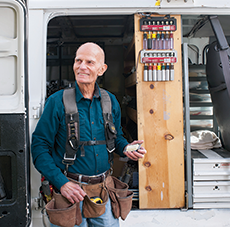 Don loves what he does for a living, but he loves his community connections even more. 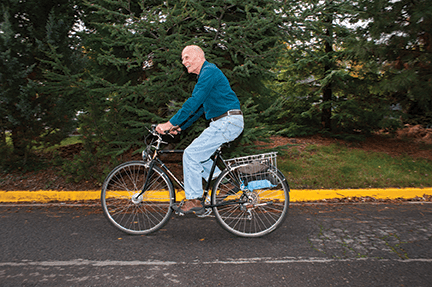 Wherever he lands, Don seems to make meaningful connections and brings his passion and joy for life into everything he does. 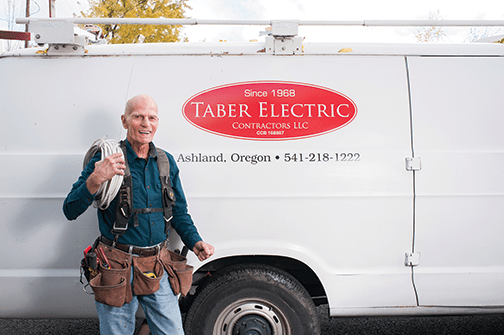 Now that he is making Ashland his home, we thought we’d take some time to learn more about the man behind Taber Electric. Thanks for talking with us today Don. Tell us about the services that you provide. The services that I currently provide are, service calls 24/7, home and business wiring for new projects and remodels, lighting control design and installation, as well as lighting design, including help with choosing fixtures. 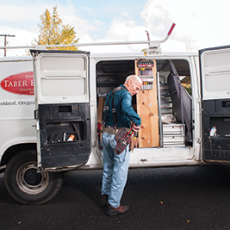 We offer a full array of electrical services for home and business. 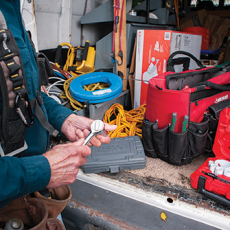 Tell us a little bit about how you first got started. 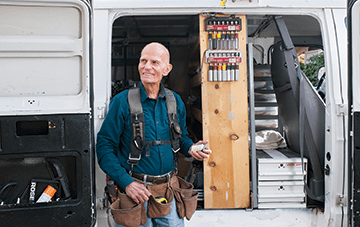 I started my electrical contracting business in 1968 after working with my father for 13 years. With a lot of help I made enough money to eventually retire to Big Bear, CA where my family lived and played close to nature for many years. You were retired and then you received a phone call for a special project. Yes, I was called to do the electrical work on a large golf course and 600 acre residential community called San Diego Country Estates. We did several hundred condominiums including all the underground wiring. During that time the Taber Electric Company grew to a company of more than 60 employees. Once a job was finished you often took the time to travel or rest. That’s true… the financial condition plus my own physical and mental conditions always offered opportunities to rest. I would often take these times to rest and recover both physically and spiritually. My line of work and training offered me the flexibility to close the business and take long and much needed breaks before starting back up again. I have always enjoyed meeting new people and traveling. You must really love your work to keep returning to it after all these years! My trade has offered me a great opportunity to bring improvement to people’s lives while building and forming great relationships with my customers. How has your work given you opportunities to make connections within the community? To begin it has allowed me to get in the door with some very interesting people that I might not have otherwise had the opportunity to meet. I can make great improvements for people; from repairs to new additions. Owners are appreciative of a contribution that makes a difference. Right from the start my interest is focused on the individual and their well being. Are there areas of discomfort that I can help to improve? What might I be able to provide that can be helpful? 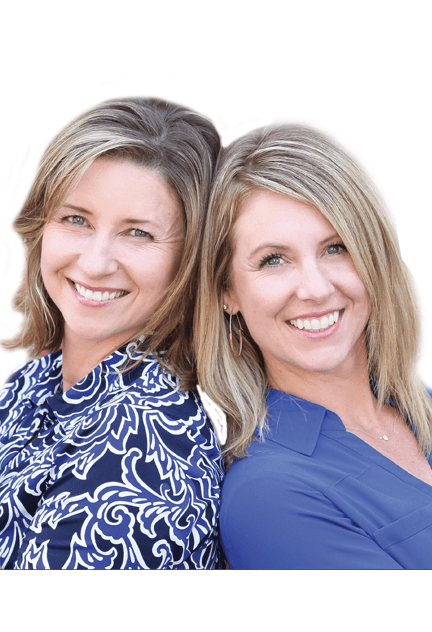 Over time as I get to know my clients we become friends. Basically, I can light up their lives! Community Building is important to you. Tell us more. I have a philosophy that has to do with inclusiveness; acceptance of what is. Once you accept what is then you can deal with it. You can then offer what ever it is you have to offer that is as compatible with another person’s needs as possible with out excluding the needs of self. Also being able to hear other ideas stretches the web, so to speak. I have experienced this in my work many times in which a project become a co-collaboration. And how did you land here in Ashland? I first landed in Ashland in 1987. I lived with my brother Bob, did some electrical work and hung out at the Co-op. 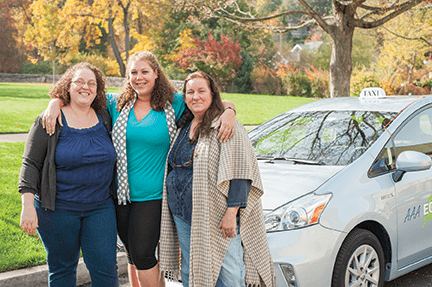 Several months later I moved back to Portland, which at that time had a similar community environment as Ashland. I’ve continued to visit Ashland several times over the years. It never occurred to me that I wanted to settle down here, but then when I was here in July it suddenly dawned on me that this is where I wanted to be. I feel so safe and comfortable here. I enjoy the community of people. It’s a wonderful variety of life that is freely expressed. The Co-op is a favorite place for me. 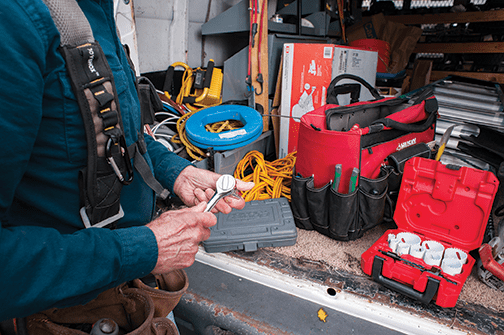 With all of your wisdom and experience, are you able to pass that education on to those just getting started in electrical? Yes! I have just been approved as a training agent for apprentices that are in the Oregon state training program. It is such a pleasure to work with our young people. I really enjoy projects that encompass the whole electrical project. I really enjoy working directly with the owner in helping them develop ideas specifically location, controls, and lighting systems as well as LED Lightning systems. Tell us about LED lights. I am a big fan of LED lighting because it has a great cost savings. The return on the investment is great! This is certainly an environmentally friendly product, is financially rewarding and did you know that LED bulbs can average 50,000 hours of light versus 4-5,000 hours for incandescent? These LED lights are now dim-able. They offer different shades and colors. Installation is also quick and easy. Not only can you replace fluorescent lighting tubes with LED lighting but I have a full array of options available for my customers. Tell us about your interest in alternative energy solutions. I am very interested in alternative energy projects. I am licensed to install solar and wind electrically and am learning more and developing local connections with businesses and homeowners across the Rogue Valley. You have a philosophy that if the customer is happy, you are happy. Can you tell us more about that? I aim to deliver excellent value to my customers. Being aware of their specific needs and goals for the project is always at the forefront for me. This way I feel like I am able to provide the best value to my customers. I like to maintain a personal connection with the customer to have an honest relationship that is satisfying to both parties. My goal is to end the day knowing that I did a great job and that the customer is satisfied. My starting rate is $65 / hour. I also offer special rates for non-profits and community organizations. 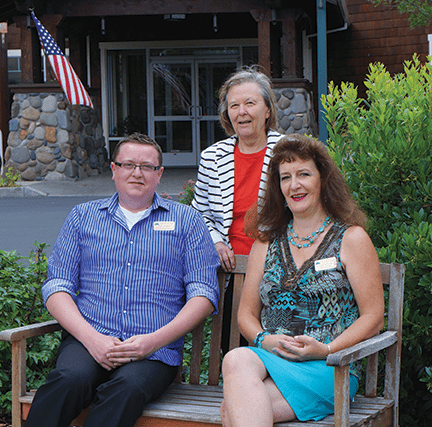 In very little time, you have become quite involved in the Ashland community. Please tell us more. I enjoy hanging out at the Co-op and having my morning coffee. I’ve begun to connect with several individuals. 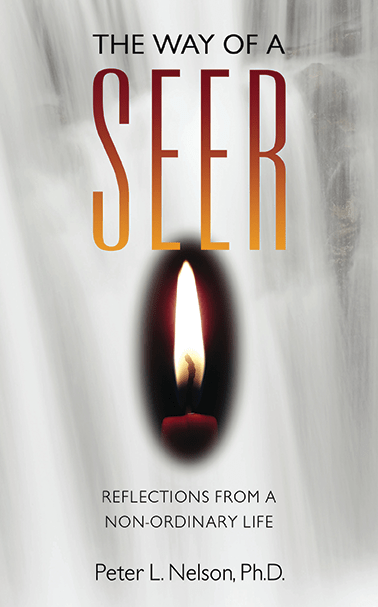 I am also a member of Oneness Group, a local spiritual organization. 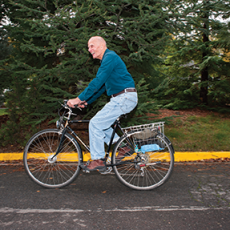 I am very interested and available to meet with community-minded individuals or groups here in Ashland. Please give me a call if you would like to connect. Any last words you might like to share with our readers? I would first like to thank everyone for reading my interview. 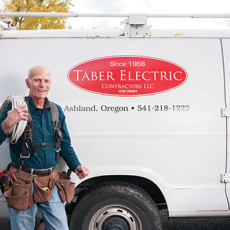 I am thrilled to be living in Ashland and looking forward to building new connections and work opportunities for Taber Electric. If you see me around town please take a moment to introduce yourself. 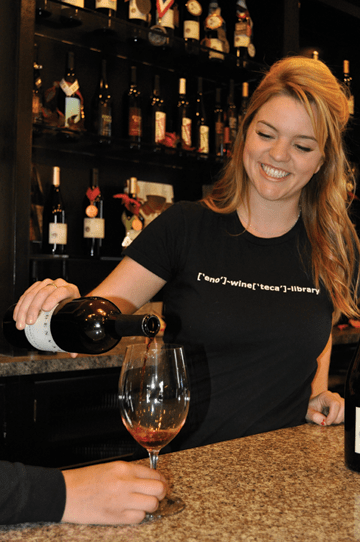 My goal in introducing myself to the Ashland community in this way is to explore the variety of ways I can deepen my connection. Each day I become more excited happy and thankful to be living and involved in our community. Thank you everyone for your contribution to probably the most conscious, safe and friendly place on earth. 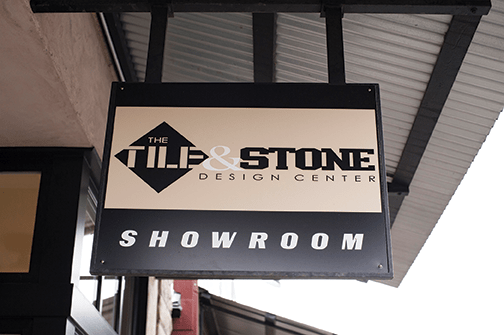 Tile & Stone Design Center - Now Available In Ashland!